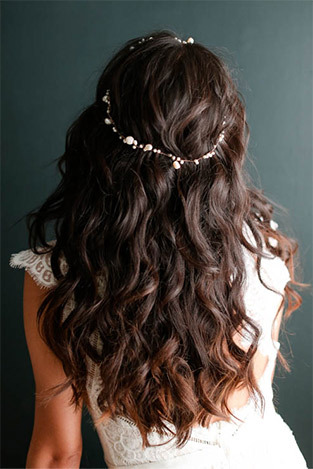 to create hairstyles for all types of tresses. 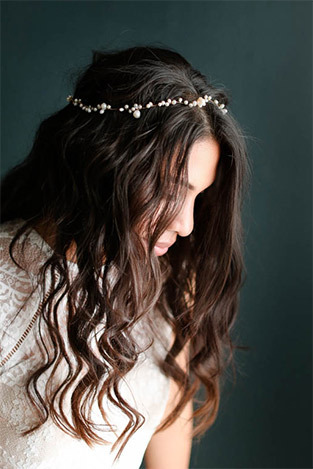 hairstyles for all types of tresses. 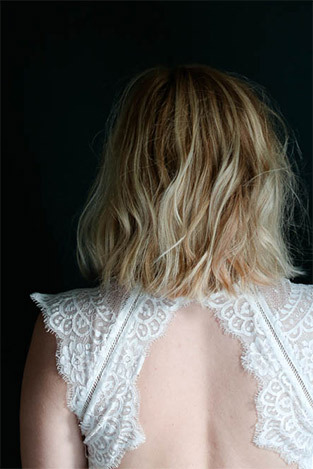 Short Hair Updo: Inspiration: We noticed that short-haired brides think they can't have an updo—in reality, it's very simple! 1. 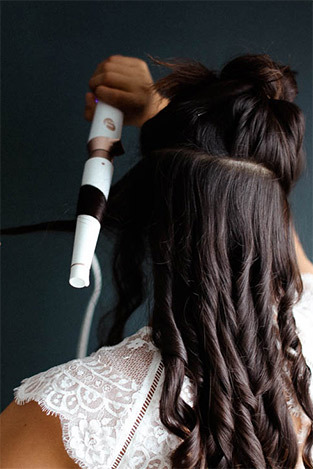 Start with your natural texture; slightly curl hair with a 2-inch curling iron to add bend. 2. 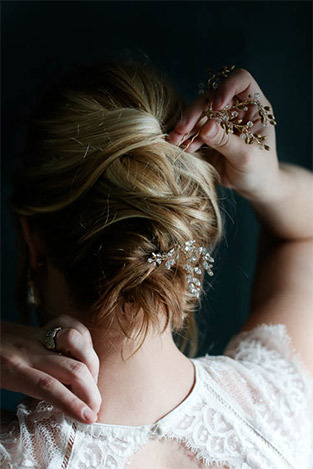 Apply a texturizing spray all over; tease the crown. 3. 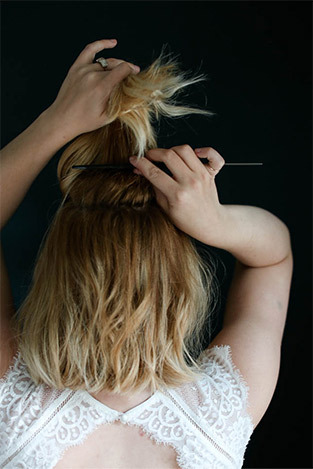 With your thumbs, pull back from temples to create a "half up-half down." 4. Twist once, as if you were starting a French twist. Pin it down, then pull out some wisps around the face. 5. 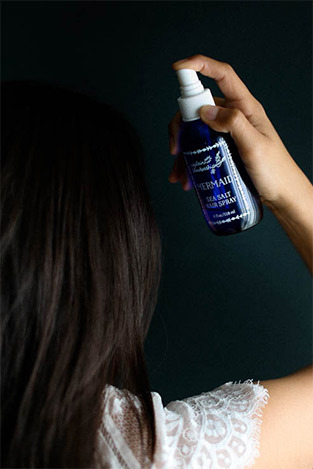 Apply texturizing spray on the leftover hair, teasing the ends. 6. Repeat step 3, grabbing more hair and twisting in the same direction as step 4. 7. Continue until you just have a tail; tuck it under the previous sections. 8. Wisps and loose pieces are welcome! 9. Finish with a pin for added flair. 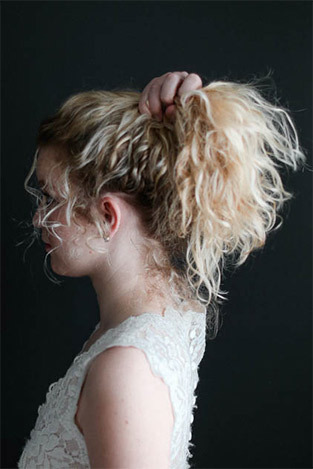 Natural Texture Updo: We wanted to give the girls with curly hair some inspiration—curls are the most beautiful foundation! 1. 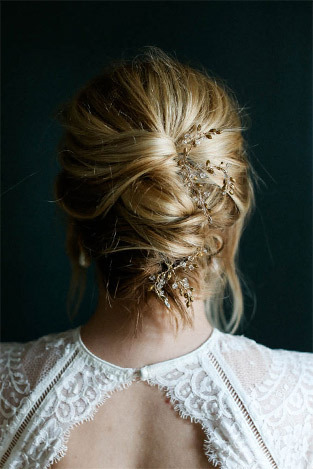 Start by spraying hairspray all over, especially on the baby hair around the face and nape. 2. 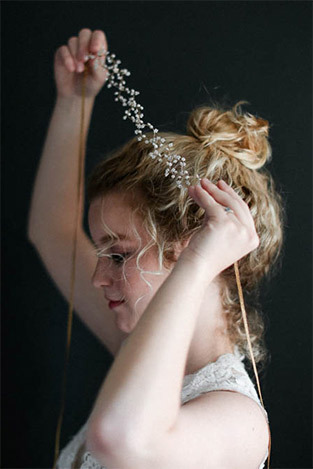 Pull all hair up, high on the crown. 3. 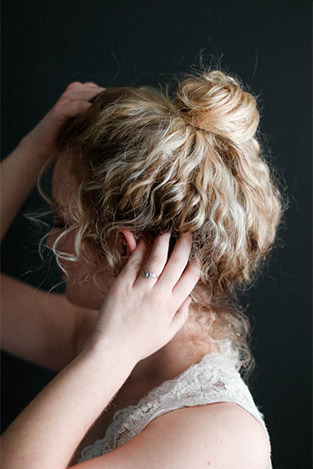 Twist into a bun, securing with bobby pins. 4. 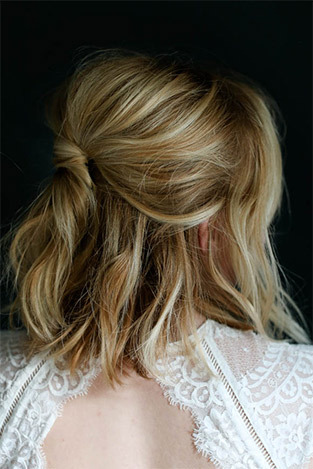 Gently tug at the hair to create volume and a loose and messy aesthetic. 5. 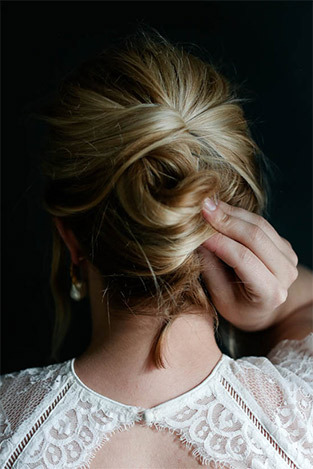 Add a halo around the bun. 6. 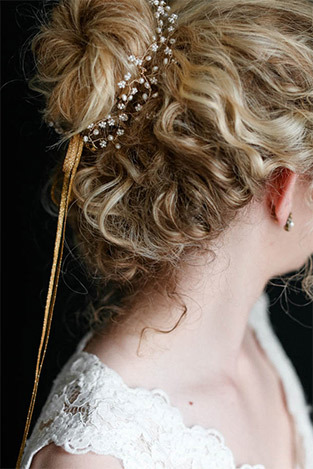 Spray with finishing spray and pull down any desired wisps! 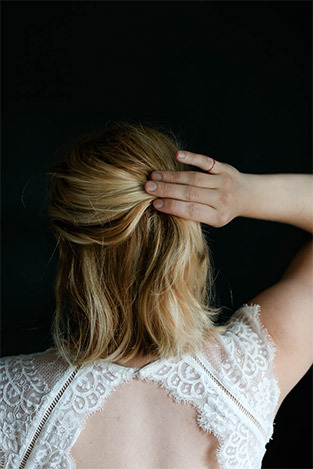 Braided Half-Up: We love a romantic half-up style; this one starts with a basic French braid and is finished with a sparkly comb. 1. Spray hair with hairspray. With your thumbs, section off from temple to temple. 2. 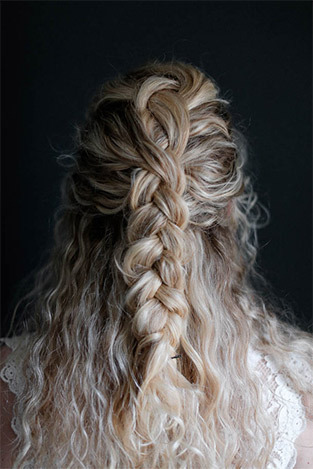 Begin your basic French braid from the top of the crown. Pull down wisps around the face. 3. 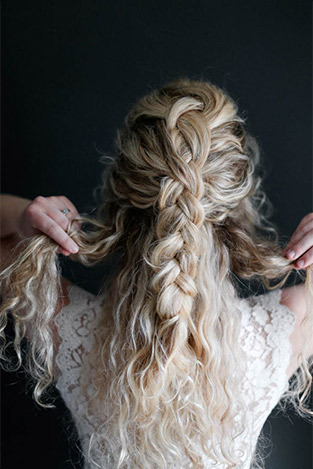 Braid halfway down the head; temporarily tie the braid. 4. 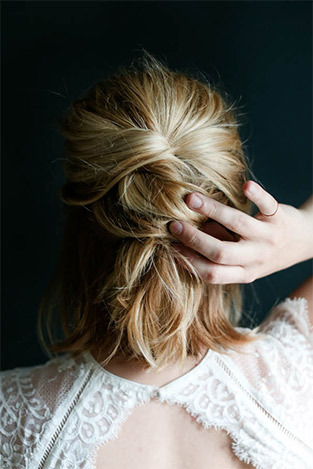 Grab two sections on either side of braid—from top of ear to top of ear. 5. 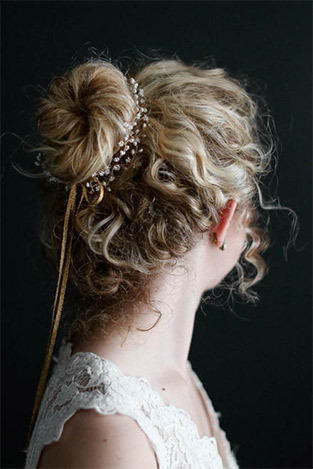 Tie a knot over braided section, securing with bobby pins. 6. 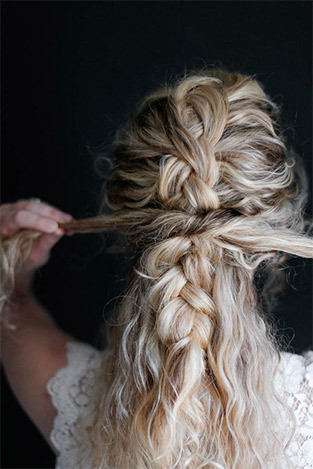 Release previous braid and spray to secure. 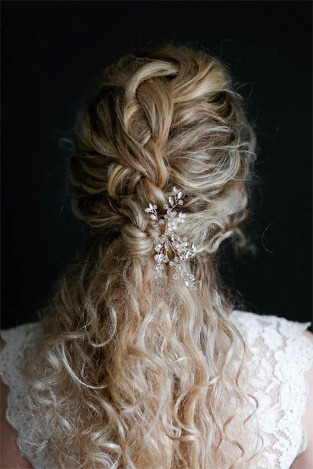 Add a comb at the side of the knot. 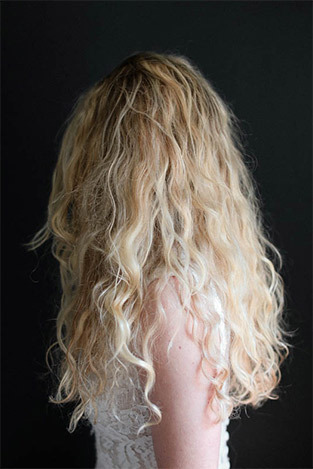 Effortless Beach Curls: We love soft, just-off-the-beach hair! 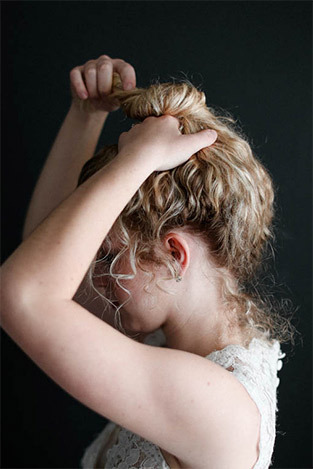 The key to this curl is changing its direction mid-strand. 1. Prep hair with hairspray. 2. 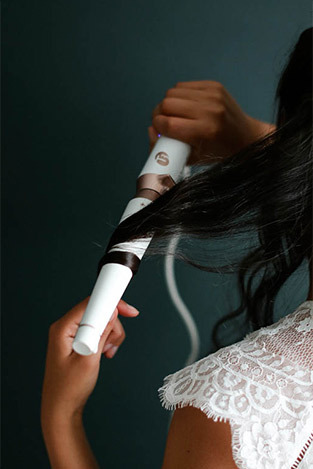 Using a 1-inch curling iron (we used the T3 wand), start at the root, curling hair away from the face to the mid-shaft! 4. Let curls set. 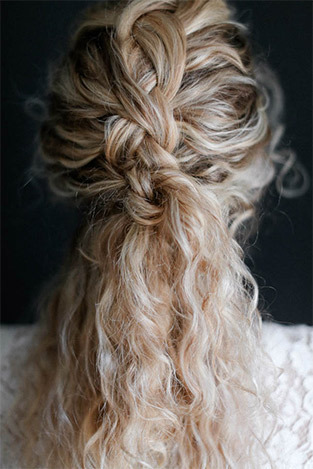 Don’t worry if they look a little wonky as they curl—this will give you a more natural look! 5. 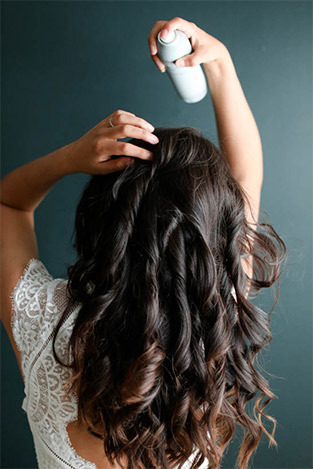 Break curls up with your hands and finish with texturizing spray. 6. 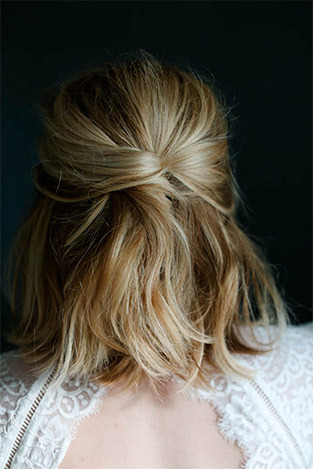 Tease at the root and complete the look with a halo.